Chairside Economical Restoration of Esthetic Ceramics, more commonly known as CEREC, is a revolutionary alternative to traditional dental crowns. Traditionally, crowns have taken weeks to manufacture and place. 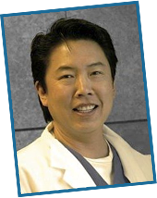 With CEREC technology, Hayward cosmetic dentist Dr. Gary Fong is able to complete the dental crown process during a single office visit – helping to save you time and money without compromising quality or appearance. If you live in the Castro Valley area of California and are interested in learning more about our same-day dental crowns, please contact Gary G. Fong, DDS online or by calling 510-582-8727 today to schedule your initial consultation. CEREC restorations are created from a digital imprint of your smile to help ensure absolute accuracy. Taken with an intraoral camera, this imprint is then sent to a computer where highly advanced software is used to create a 3D image of your restoration. This image is based on precise measurements and finite details of the damaged tooth, but Dr. Fong double checks the information to help guarantee the most pleasing results. After the image has been created, it is sent to a milling machine in our office where the customized dental crown will be created. The milling machine utilized by Dr. Fong manufactures dental crowns from functionally reliable and resilient ceramics that look, feel, and function just like natural tooth enamel. This enables this type of dental crown to fit seamlessly into your smile and fully restore optimal strength and beauty. CEREC technology allows Dr. Fong to produce dental crowns that are every bit as strong and attractive as other types without requiring multiple visits or temporary restorations. We recognize how precious your time is, but never want to sacrifice quality for expediency. CEREC dental crowns allow us to meet all of your needs by saving you time while still providing a reliable and attractive restoration. During your next visit to our office we would be happy to answer any questions you may have about this technology and to help you determine if it is ideal for your specific needs. To schedule your one-day dental crowns consultation with our experienced Hayward cosmetic dentist, please call 510-582-8727 today. We welcome patients living in Castro Valley and all surrounding areas of California.